Recent release “Behind the Mask” from Page Publishing author Robert Abatti is an intriguing thriller about the pursuit of justice for a woman’s murder at the hands of her fiancé that led to the discovery of a twisted criminal organization. 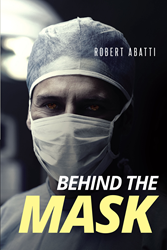 Robert Abatti, a practicing family physician who graduated from the New York University and New York Medical College, with postgraduate training at the University of Southern California, has completed his new book “Behind the Mask”: a gripping novel of suspense that follows two skillful detectives trying to solve a crime of passion and stop an impending threat by powerful criminal forces. Published by New York City-based Page Publishing, Robert Abatti’s complex tale is a sure page-turner for avid readers of mystery fiction and police-procedural paperbacks. Aided by a fearless attorney, the two detectives find themselves waging war with criminals of heinous proportions and uncovering darkest secrets that incriminate fate itself. Readers who wish to experience this rousing work can purchase “Behind the Mask” at bookstores everywhere, or online at the Apple iTunes store, Amazon, Google Play, or Barnes and Noble.